Here you'll find an A4-size flyer that you can print and place in a good spot in your local curling hall. A bulletin board and doors of the locker rooms would be ideal places. 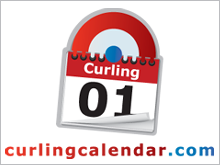 If you have a website or blog, we would really appreciate if you could link to Curlingcalendar.com. Here are some HTML snippets that you can copy-paste to your site. Example HTML snippets load the banner images directly from Curlingcalendar.com. If you have a very high traffic website we would prefer that you would load local copies of the banners instead of using the images from Curlingcalendar.com.